The town politics in a suburb of Fort Worth, Texas are getting catty. 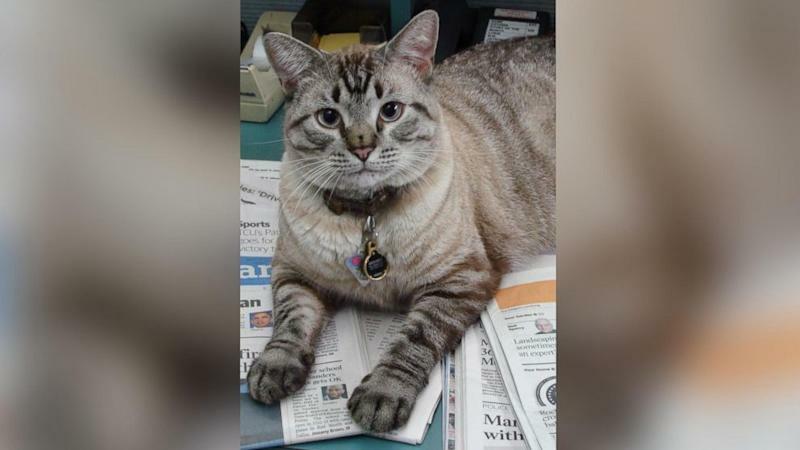 Browser, the beloved cat that has been a fixture of the local library for six years, recently lost his job. On June 14, the city council voted to remove the cat from the public library and now he has 30 days to find a new home. The White Settlement Public Library adopted their furry friend in October 2010 from a local animal shelter, according to their website. Mayor of White Settlement, Ron White, said that the cat was originally adopted to help with a rodent problem, a common tactic used in libraries. Despite this, Browser has become more than just a protector of books, “Browser has become our library’s mascot,” the site reads. The cat is even the face of their annual calendar, which is sold as a fundraiser. But recently, the town council decided that animals are no longer allowed in city facilities. White told ABC News that this decision came seemingly out of nowhere. He opposes the cat’s eviction and maintains that the cat is harmless and, beyond that, a positive asset for the library. “He helps children read,” White said. “Little children will come into the library and they’ll read to Browser.” White added that since the council’s decision, he has been flooded by emails from people throughout the country upset with Browser’s presumptive removal. Lisa Rogak, who co-authored the book ‘The True Tails of Baker and Taylor: The Library Cats Who Left their Pawprints on a Small Town…and the World’, also supports Browser’s role in the local library. Removing Browser would also mean the rodent problem would remain unchecked. The alternative, according to White, is hiring an exterminator – a solution that could leave some books, handled every day by children, covered in chemicals. White said he plans on adding the issue to the agenda for the city council to reconsider at the next meeting, which will be held on July 12, just a couple of days before Browser’s 30 days will expire. He is hoping to reverse the decision. The small town has reportedly managed to obtain over 800 signatures on a petition to keep Browser in the library. White said he expects that number to exceed 1,000 by the time the next meeting comes around. White Settlement Public Library and Councilmen Elzie Clements did not respond to requests for comment.